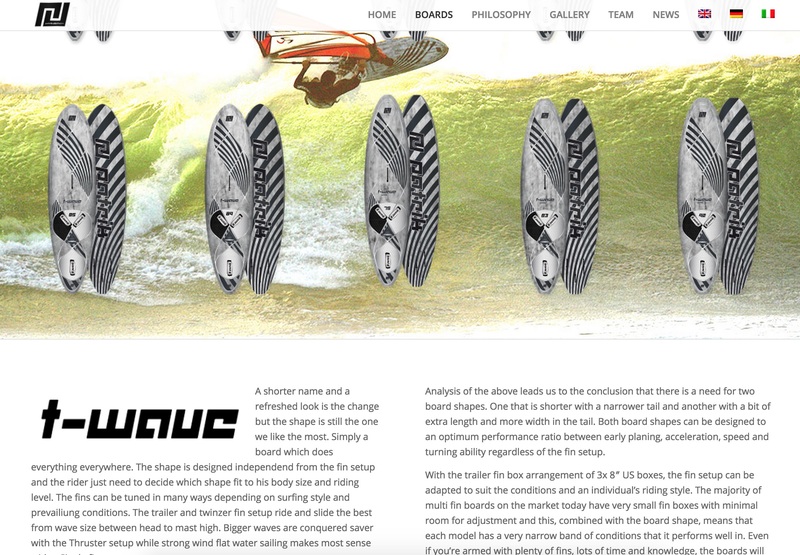 We are stoked to see Patrik International have finally released their brand new 2015 website, packed with all the 2015 designs and info you need to make your perfect choice for this season, we strongly recommend you go check it out. On top of that they have a new instagram page and are using the hashtag #patrikwindsurf. Get your orders in quick before the latest stock sells out. Firstly before I go on to report the weekends adventures it saddens me to have to say after many fiasco’s chasing my tail with formula sails it all catastrophically failed. This is another story I wont be telling. However after many hours of thinking and reminiscing of the good times in the circumstances im currently in with life I decided to to give competitive formula sailing a rest and seek a new challenge. Something I’ve always wanted to pursue and will happily go back to formula when the time is right. I would like to take the time to say thanks to everyone who helped me over the years get to winning the British title it was a brilliant 8 years and I’ve learnt so much and its now time to put this knowledge to something new to improve my windsurfing in other areas. Check out our team riders, Alex Griffiths and Charlie Money ripping in Fuerteventura. This sweet video made by Alex, shows the two of them pushing hard to up their level. Watch out for these guys at the next UK freestyle event. 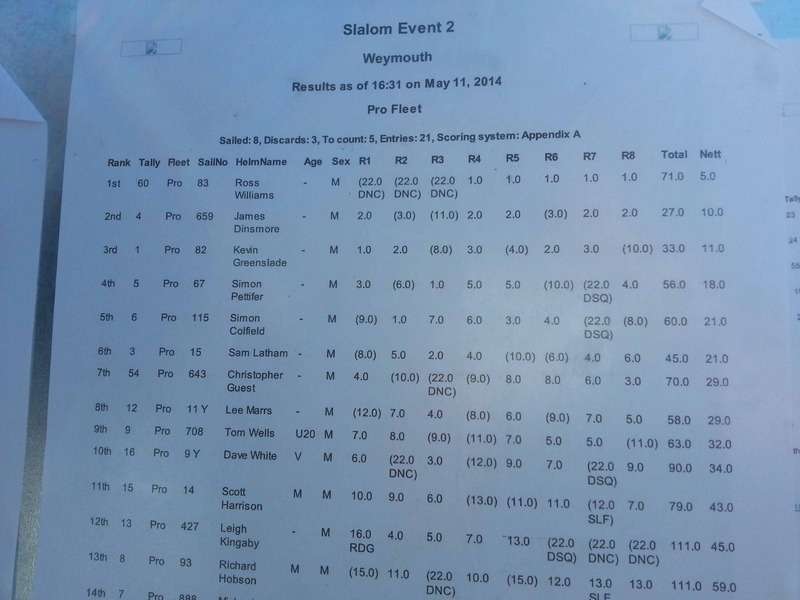 Congratulations to our slalom team rider, Chris Guest, who managed to sail his way to 7th place last weekend in some seriously strong wind and even making a top 3 in the final race. We caught up with Chris for a few words and pics, read on. 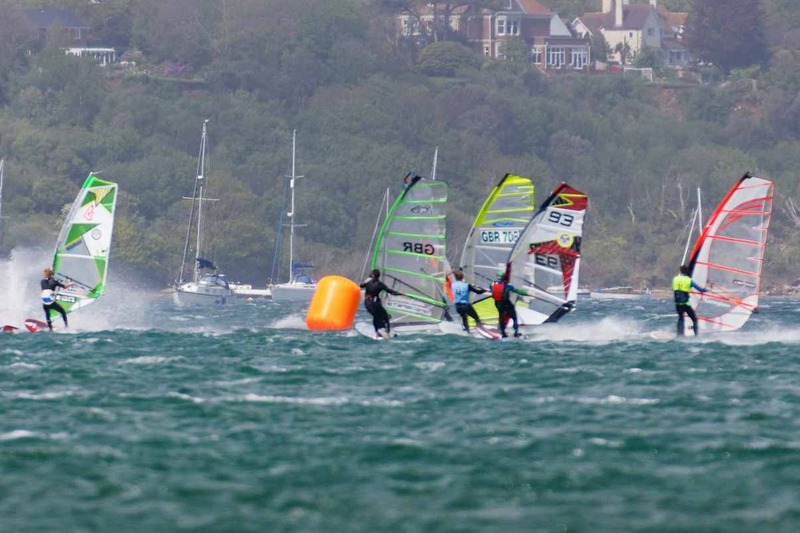 After some great racing at Marazion, the slalom sailors flocked to Weymouth and Portland National Sailing Academy for the second round of the BSA series and probably what was one of the windiest events of the year. 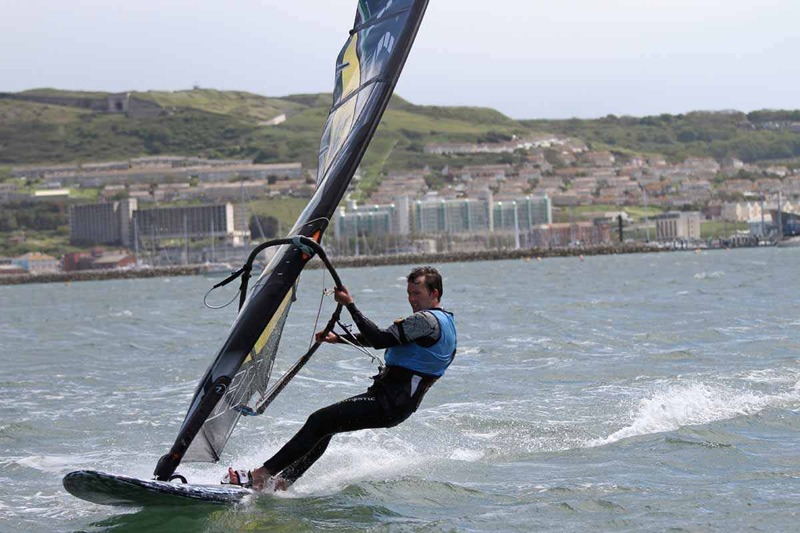 Weymouth is always a popular event, and this year was no different with over 60 people entering across the Master Blaster, Amateur and Pro fleets. As I arrived in Portland on Friday around lunchtime the sun was out and the wind was strong. I went out for a short training session on my Patrik 100L slalom and 7.9 AC1, after a few tweaks, a bit of tuning and switching to my seat harness I was ready and excited for the weekend’s racing! The forecast for the weekend was 25 knots (gusting 35) but when we all started rigging on Saturday morning the wind was lighter than forecast, lulling us into a false sense of security with most of the pro fleet ready to go out on 7.8s. I ended up going out on my 7.2 as the wind was visibly picking up and it proved to be a wise decision, as the wind rapidly picked up to over 30 knots. We were all stacked! In the first race I finished 4th, mainly because I managed to hold all my gybes in gusts. However as the wind picked up further I was far too overpowered on the 7.2 (gusts were over 40knts) and the next two races didn’t go so well: falling in several times during the heats, putting me in the losers finals both times –most other sailors were on 5 to 6sqm sails and even they were over powered, so I’m just happy I managed to sail the course, weighing a mere 75kg. After a ridiculous amount of food and a good night’s sleep, despite the van rocking in the howling wind (note from XPLG: Sure Chris… howling wind…), I rigged the 7.2 again, as well as a 6.3 I borrowed (special thanks to Mandy, Martin and Lee). The wind was slightly lighter (marginally) but I was still stacked on the 6.3. The morning racing went OK – making it into the winners final every time but only managing 8th & 9th places: I felt slow on the 6.3 as the board and fin were too big (100L + 38cm) and I wasn’t familiar with the sail, but I guess I finished the races so that’s always good! After lunch the wind was showing signs of dropping so I jumped back on to the 7.2 and it proved to be a wise move (if not extremely lucky). 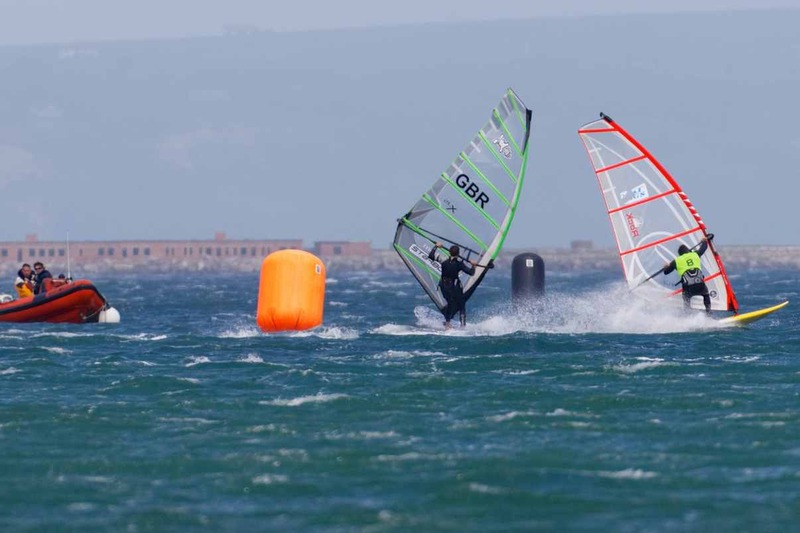 The first race I finished 6th feeling much more comfortable on the board/sail/fin combo and in the final round I managed a 3rd, my light weight proving an advantage when the wind dropped massively, pumping over the top of people coming out of the gybes! All in all an awesome weekend with some very tricky conditions for everyone! I learned a lot and am much happier with my starts (glad to see training paid off). Moving forward I need to work on my gybes in dirty water and wind and also get some smaller kit as soon as I can afford it! On XPLG.co.uk you will be able to locate where to purchase the products we provide. 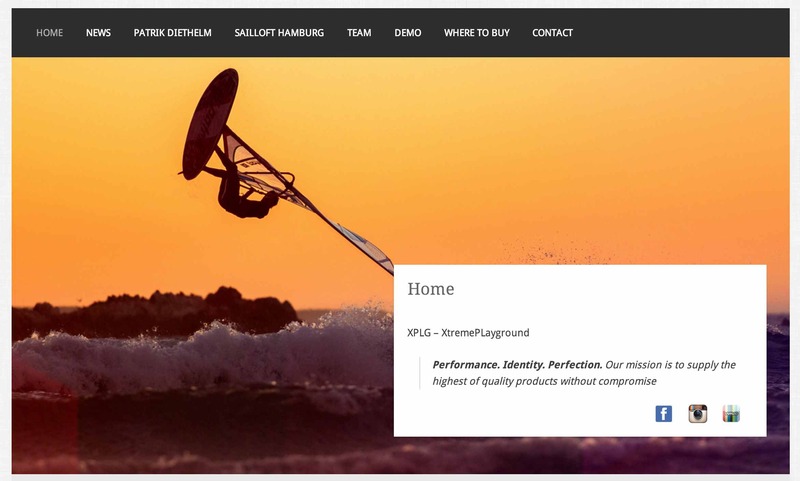 We are stoked to be able to distribute both Patrik Diethelm and Sailloft Hamburg gear to shops, centres and team riders all over the UK and invite you to click around on our website to find out much more about our products, our philosophy and our growing team. If you feel like being a part of the XPLG movement, be that as a stockist, a team rider or joining our affiliate programme then please don’t hesitate to contact us. Lastly, we are also stoked to announce that we have two test centres in the south of the UK, where you can try before you buy, just head on over to our Where To Buy page. Stay tuned for more updates coming over the next few days as we fine tweak the live version of our site.